As the old adage goes “Give a man fish, he will eat for a week, Teach a man to fish, he will always eat”. Well, it should start when he is a boy! 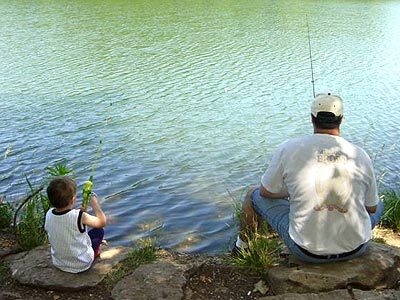 Fishing is a sport that can really make the father-son bond, a strong and lasting one. Fishing with a kid should start as simple as possible. 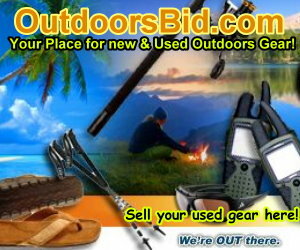 There is no need for elaborate equipment and tackle to be used in the early days of this sport. It should be a happy time, a memorable one for the youngster, as well as the parent. Too often I see fathers getting annoyed with their children for not doing it right. There is no right or wrong at this stage! No one is born with a rod and reel in their hands. It is a process of making mistakes and learning from them. It is, like most things, a learning curve. The more you do it, the more you learn the better at it you become… Like most things in life. A good example of what not to do is what happened with a friend of mine and his 8 year old son. For his first fishing encounter, he was put aboard a large, diesel powered boat, in moderate seas, for a day of ocean fishing. Before getting out of the harbor, the kid was already nauseous from the fumes, and by the time they were at the fishing grounds, was also quite sea sick to boot. As a result, his kid, after spending some hours in hell, hates the sport! How sad. How unnecessary! For a first encounter in to the sport of fishing, the parent should start the child off with freshwater, preferable from a shoreline, with minimal tackle. I recommend a good old cane rod with a small hook and a worm. Sure, the size of the fish to be caught will probably be small, but who cares, the child will have fun. And that is the most important aspect of the experience. As the child gets older and more proficient, a light rod/reel combination will do very nicely. By starting the experience slowly, and with enthusiasm, it can develop into a fun, relaxing sport that will last a lifetime.